We specialize in Auto Repair, Light Duty Truck Repair and Brake Repair in Littleton, CO. We offer a free shuttle service for repairs within a 10 mile radius and discounts on rental cars from local companies. We work on both foreign and domestic cars, trucks and 4 wheel drive vehicles. Call us today for your FREE estimate! You can save money with us through our numerous discounts! 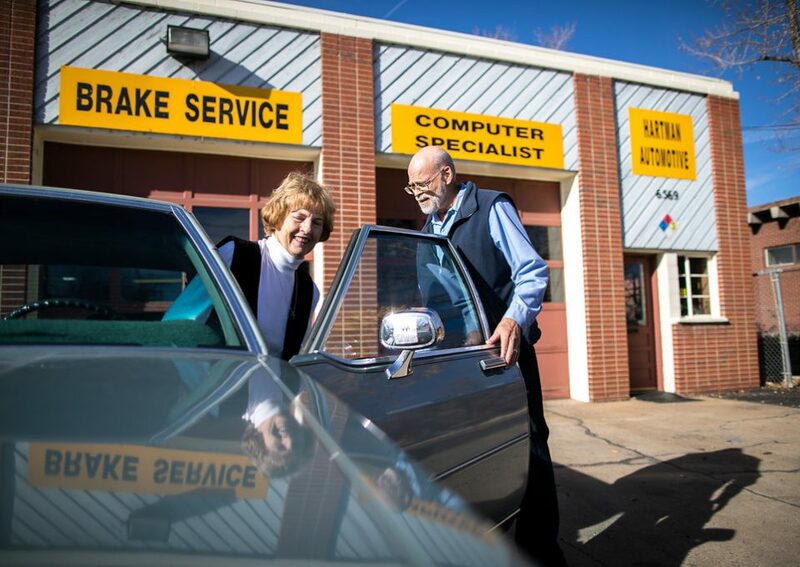 If you are looking for honest and reliable Littleton Auto Repair, our team of mechanics are here to help! Here are links to some of our most popular auto services: Light Duty Truck Repair, Brake Repair, Transmission Repair. Give us a call for all of your auto servicing and preventative maintenance needs. So if you are looking for a Auto Repair in Littleton, CO, call us today to learn more about how we can help you. "They were so nice. Friendly. Explained everything about what they found out about my car problem and recommendations to fix. They offered to give me a ride since my car was broken down. I had a great experience with them and would take my car there again"
"Highly recommended! I have had extensive repair work done and they are awesome! Auto repair shop that has been around for a long time and the owner and the mechanics are very knowledgeable! Jerry is a great person to deal with also! My wife even knitted him a pair of wool socks! They are very honest and they are experienced. I wish there were more auto repair shops like this one!" "Gerry and his mechanics are thorough. We have an older vehicle and one of the door sensors was not working properly. They could not find the part so they cleaned it up and it is working great now. I would highly recommend Hartman Automotive." "Old time values of integrity and great customer service. I recommend them highly. I was treated with respect my problem was handled quickly and their prices were extremely Fair! Lakewood, CO."
"Jerry Hartman and his team are extremely knowledgeable about their work and make communication with their customers a priority about the specific repairs needed. Their rates are very fair and often much lower than dealerships for the same maintenance. I have been using Hartman for my maintenance and repairs for nearly 15 years and I have never had a problem with their service."